BEIJING — China on Thursday criticized Washington's decision to leave the United Nations treaty that regulates international postage, amid a worsening trade dispute between the world's top two economies. Foreign Ministry spokesman Lu Kang said the move should not be linked to China, despite arguments that the arrangement especially benefits Chinese manufacturers by making it cheaper to ship packages from Beijing to New York than from one side of the U.S. to the other. "We regret the US decision to withdraw from the Universal Postal Union," Lu told reporters at a daily press briefing. "We will continue working with all sides to make our contributions to the development of global postal service." President Donald Trump has said the 144-year-old UPU puts U.S. businesses at a disadvantage and is used by shippers of the narcotic fentanyl to the U.S. from China. 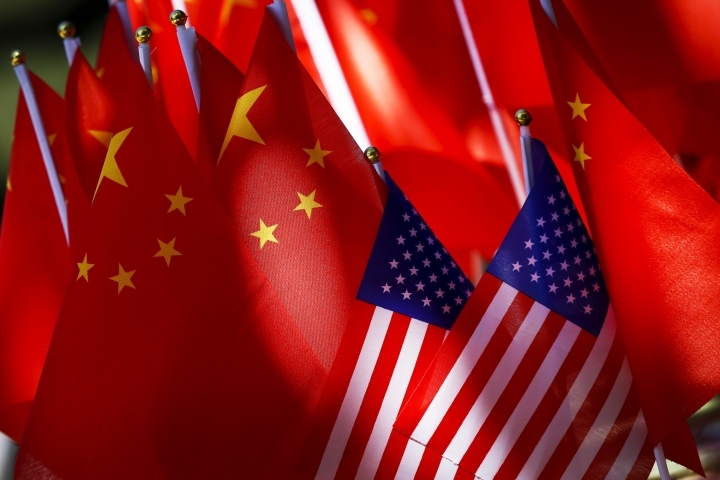 The move comes as the U.S. has imposed tariffs on $250 billion in Chinese goods and Beijing has retaliated by targeting $110 billion in U.S. products. The Trump administration says China's massive trade surplus with the U.S. reflects unfair practices and that it is stealing intellectual property and forcing American and other foreign companies to hand over technology in exchange for access to the Chinese market. U.S. officials say they will be willing to renegotiate the postal treaty over the next year but will leave if no agreement can be reached. Trump has made a point of cutting America's links with international agreements. His first week in office he pulled the United States out of a trade pact with 11 Pacific Rim countries. He also has left UNESCO and the United Nations Human Rights Council, pulled the U.S. out of the Paris climate accord and cut U.S. funding for the U.N. agency for Palestinian refugees. Also Thursday, China's politically sensitive yuan sank to a 22-month low against the dollar after the U.S. Treasury declined to label Beijing a currency manipulator. The yuan fell to 6.9411 per dollar at mid-morning and has declined by almost 10 percent against the dollar since April as China's economic growth cooled and U.S. and Chinese interest rates went in opposite directions.